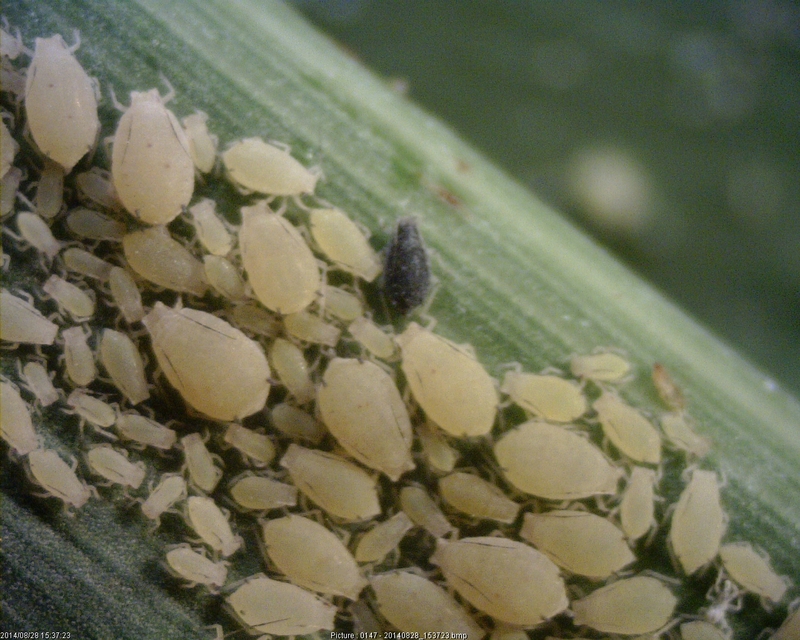 1) Plant early – Because the aphid migrates northward in the spring, early plantings may avoid may avoid very large infestations. Late planted double-crop plantings are at greater risk of severe infestations. 2) Plant a tolerant hybrid/variety – Some hybrids have been shown to have some partial tolerance to the aphid. This table from the Sorghum checkoff program and ratings for the Georgia Statewide variety trial lists grain sorghum hybrids with some degree of tolerance to SCA. In my own trials the most tolerant grain types were in alphabetical order Alta AG1201, Dekalb DKS 3707 and DKS 4807, Pioneer 86P20, Sorghum Partners 73B12 and Warner W-7051 (tall, late variety). 3) Use an insecticide seed treatment – My trials last year found that insecticide seed treatment would limit seedling infestations for 30 – 40 days after planting. All registered neonicotinoid insecticides are effective including thiamethoxam (Cruiser), clothianidin (Poncho, NIpsIt Inside) and imidacloprid (Gaucho, others). Most grain sorghum seed was treated with one of these seed treatments in 2017. 4) Scout early and often – Fields can quickly be inspected for the presence of aphids by looking are on the underside of leaves. Once aphids are detected, scout at least once, preferably 2 times per week, because aphid numbers build very quickly. Shinny lower leaves with honeydew are a clear sign of infestation. 5) Beneficial insects usually do not control infestations – SCA and their honeydew attract large number of beneficial insect predators such as lady beetles, syrphid fly larvae and lacewings. A parasitic wasp is present in and caused infested aphids to turn a dark blue-gray color. No aphid fungal disease has been observed either. Generally the rapid rate of increase in aphid populations overwhelms the beneficial insects and severe plant damage usually occurs. 6) Treat when aphids reach threshold levels – The current threshold is 50 or more aphids per leaf on 25% pf plants preboot stage through dough stage. Once threshold is reach do not delay application because infestations can very quickly go from the threshold level to 100% infested plants and hundreds of aphids per leaf. Sivanto Prime (Bayer Crop Protection). Sivanto prime has a full section 3 label and a supplemental 2ee label for lower rates on sorghum and other grain crops. The 2ee rates are 4 – 7 fl. oz per acre. Sivanto was very effective in my trials at rates of 4 to 7 fl. oz. per acre with Control usually lasting 21 days or more. At the 4 oz rate it can be applied up to 7 times during the season but has a 21 day PHI. Transform WG (Dow AgroSciences). Transform WG federal label was re-instated last year but sorghum is not on the full federal label. But Transform WG has an approved Section 18 emergency exception for use on sorghum in Georgia in 2017 but the label has not been issued yet. The label will allow for 2 applications per season and not more than 3 oz per acre per crop and has a 14 day PHI. Transform cannot be used during bloom to protect pollinators. 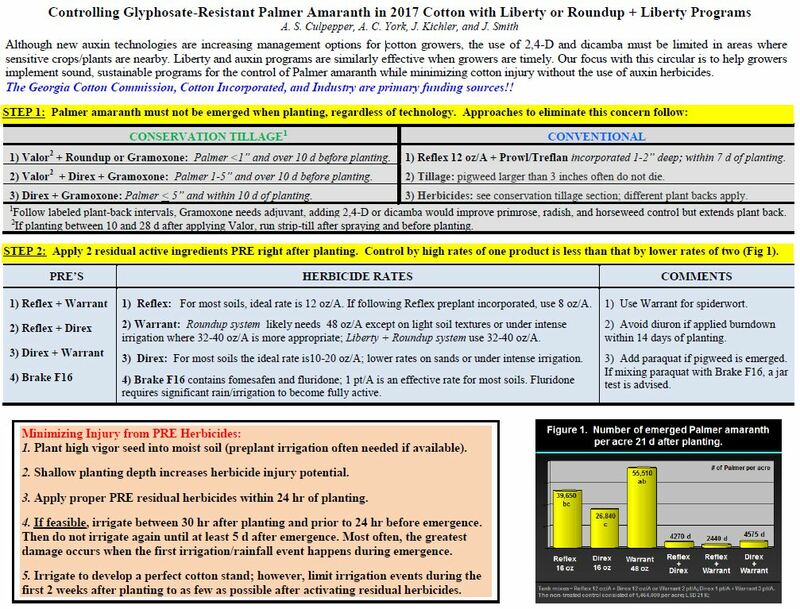 In my insecticide trails last season, rates of 1.0 and 1.5 oz per acre were effective. Use the 1.5 oz rate if aphid populations are increasing rapidly. Chlopyrifos (Lorsban Advanced, Nufos, other). Chlopyrifos is labeled at 1 to 2 pints per acre. The 2 pint rate has a 60 day harvest interval. The 1 pint has a 30 day harvest interval, but is usually not effective. The 2 pint rate was 60-90% control for about 10-14 days. At the 2 pint rate it cannot be used after the boot stage due the 60 day PHI. DO NOT USE CHLORPYRIFOS ON SWEET SORGHUM. Dimethoate ( Dimethoate, Cygon). Not recommended. In my trials dimethoate is variable in control and control if it occurs is only for a week or so. 8) Good coverage is key to effective control. Use tips and GPA for maximum coverage especially lower in the canopy. A minimum of 10 gpa by ground and 5 gpa by air is highly recommended. 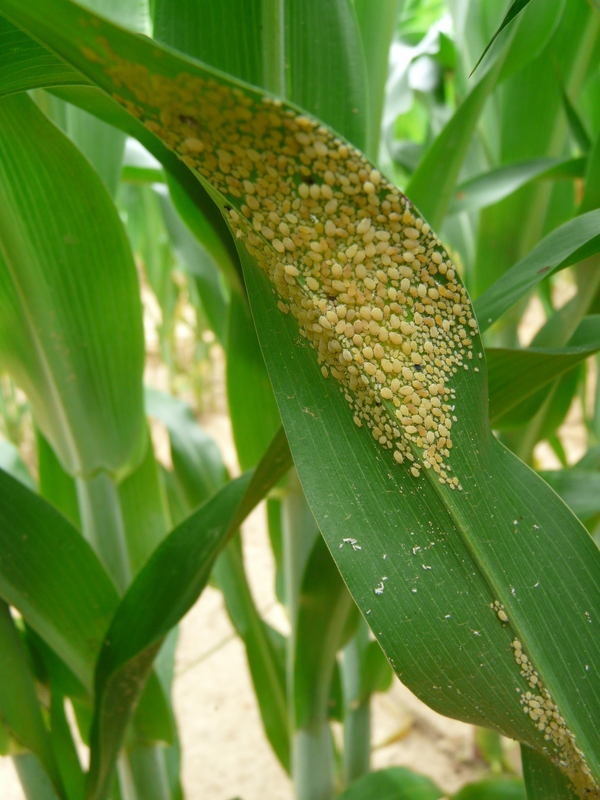 9) Avoid pyrethroid insecticides for other sorghum pests. For sorghum midge try to avoid routine pyrethroid sprays for sorghum midge. Instead scout and treat at 1 adult per panicle. Chlorpyrifos (1 pint per are) for low to moderate infestations. If pyrethroids are used they can be tank mixed with Sivanto (Do not use Transform during bloom). 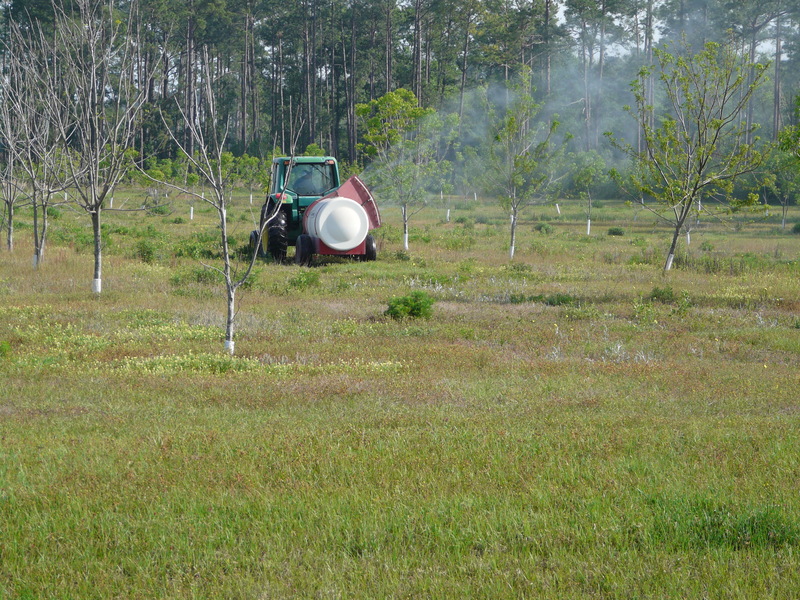 Early plantings often avoid serious midge infestations. For fall armyworm in the whorl, the threshold is 50% infested whorls. Use Belt, Prevathon or Lannate which are specific to caterpillars. For headworms, corn earworms fall armyworm, sorghum webworm, the threshold is 1 worm per head and use Belt, Prevathon, Beseige or Lannate. 10) Check fields 2-3 weeks before harvest for infestations. A treatment may be needed if large numbers are in the head to prevent damage to combines. Hybrids with taller stalks and more space between the grain and upper leaves may make harvest easier by reducing the amount of leaf material going through the combine. Large infestation producing large amounts of honeydew and sooty mold may interfere with harvest desiccants. Transform WG can be applied up to 14 days before harvest. 11) Silage/forage sorghum control. No work was done specifically on SCA control in silage/forage sorghum. So the same recommendations for grain sorghum also apply to silage and forage sorghum. Both Sivanto prime and Transform can be used on silage and forage type sorghums. Grazing / hay interval is 7 days for both products. Chlorpyrifos at 2 pints per acre has a 60 day grazing forage, hay interval so is usually not an option for forage and hay sorghum. In forage/hay types, the later cutting were damaged last year. Spray coverage is difficult when plants get tall. If aphids are present but below threshold consider a spray application as late as possible before the crop gets too tall. 12) Sweet sorghum. Sivanto prime, Transform and chlorpyrifos cannot be used on sweet sorghum. There currently are no effective treatment options for sweet sorghum. A section 18 request for use of Sivanto prime on sweet sorghum has been submitted to Us-EPA but the request is still pending. A number of products can be used to manage thrips on peanuts. However, only one product, Thimet (ai: phorate) is effective in reducing the risk to this disease. The reduction in risk to tomato spotted wilt is not related to the thrips control that it provides, rather is seems to be associated with the response of the plant to Thimet. Thimet likely activates defense-response genes in the peanut plant that help to protect the plant from the virus. Growers who want to plant early (before May 1), or who want to use cultivars with spotted wilt risk points greater than those of Georgia-06G, might especially want to consider to using Thimet for management of tomato spotted wilt. 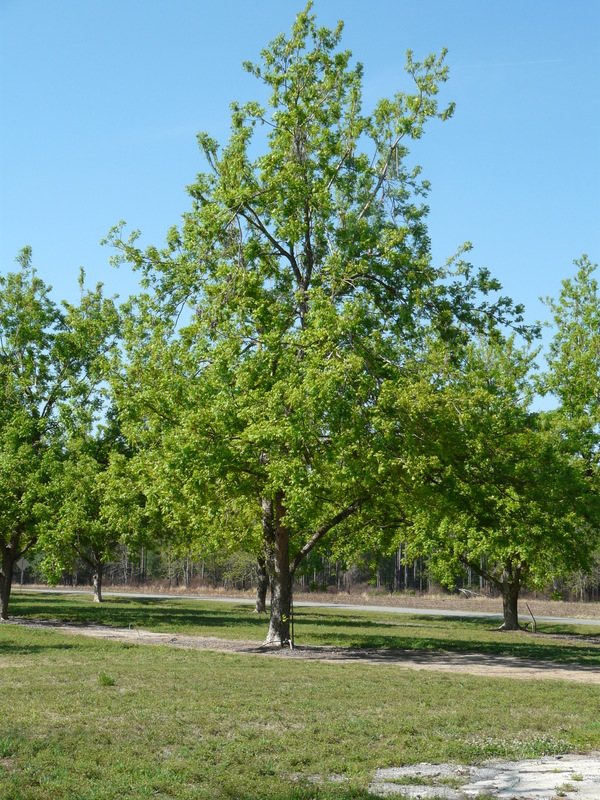 Peanut seed and young seedlings are susceptible to attack from a number of fungal pathogens. 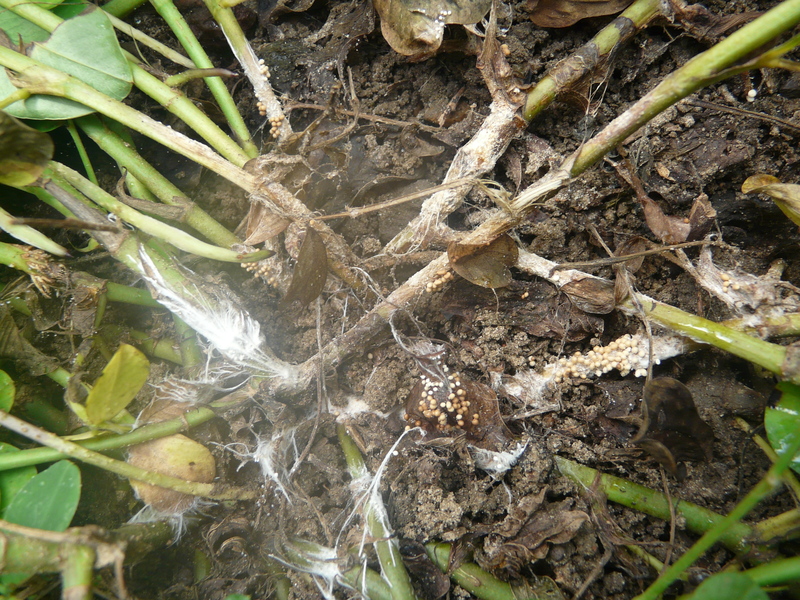 The two most important fungal pathogens causing death of peanut seedings in Georgia are Rhizoctonia solani and Aspergillus niger. Fungicide seed treatments are a critical tool to manage seed rots and seedling diseases; currently nearly all seed is treated with Dynasty PD. Dynasy PD is composed of azoxystrobin, fludioxonil, and mefenoxam. However, growers can also protect the developing plants from seedling diseases with in-furrow fungicide applications of fungicides like Abound (5.7-11.4 fl oz/A), Proline (5.7 fl oz/A), and Evito (2.3-3.5 fl oz/A). These fungicides are typically used to compliment seed already treated with a fungicide seed treatment. 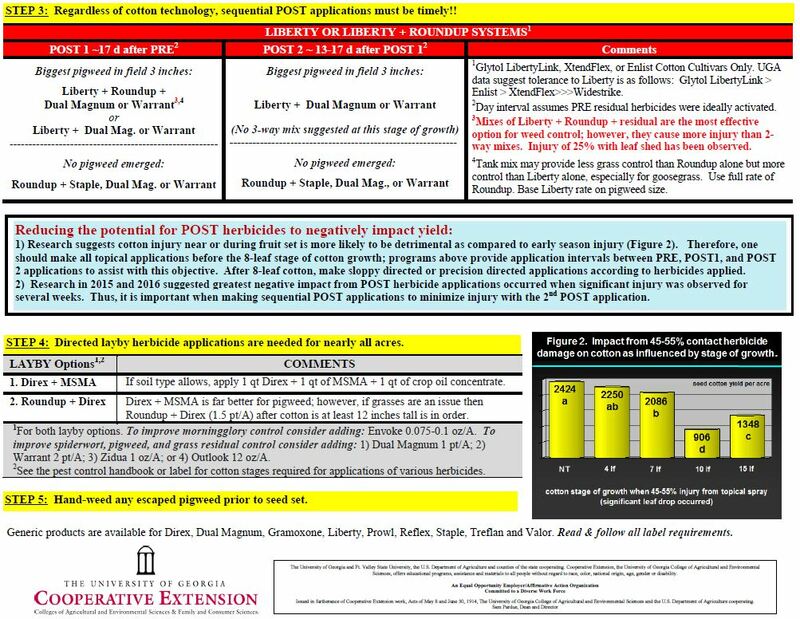 The most effective in furrow spray for stand establishment has been Abound, although Proline also has activity on these pathogens and Evito is labeled for this use as well. The benefits of these products have not been as consistent in recent years, and research is underway to determine the factors involved. Proline (5.7 fl oz/A) applied in-furrow has been an important treatment for the management of CBR. Though this disease has been less widespread in recent years, an application of Proline in-furrow is still useful where there is a threat of CBR. When favorable conditions, such as very warm weather, occur early in the season, in-furrow applications of Proline also offer some protection from early-season white mold. The extent of the protection is likely less than that provided by banded applications of Proline 3-5 weeks after planting. Decisions to use Proline in-furrow should be made based upon a) risk to CBR, and b) risk to early-season white mold (although there are effective alternatives for white mold). Nematode-resistant cultivars continue to hold up well against even high populations of root knot nematodes. 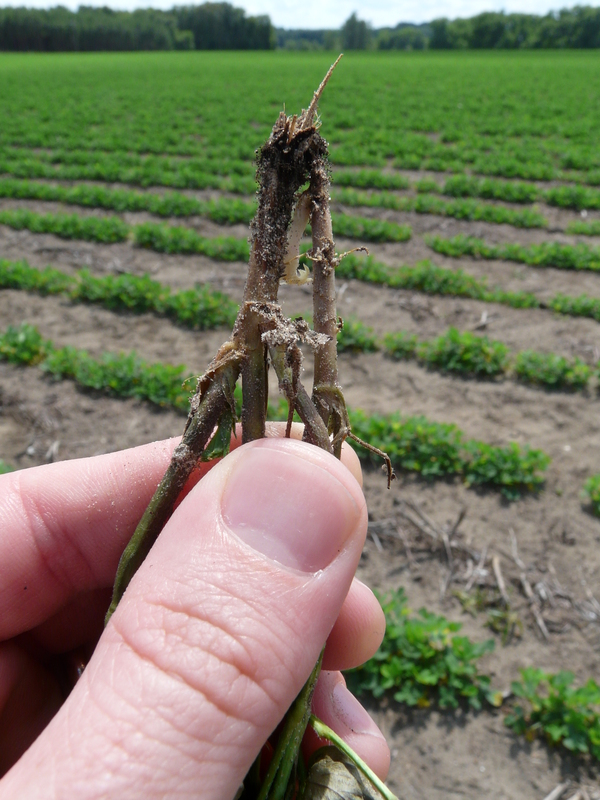 However, growers electing to plant a susceptible cultivar like Georgia-06G in fields infested with the peanut root-knot nematode should consider the use of a nematicide. 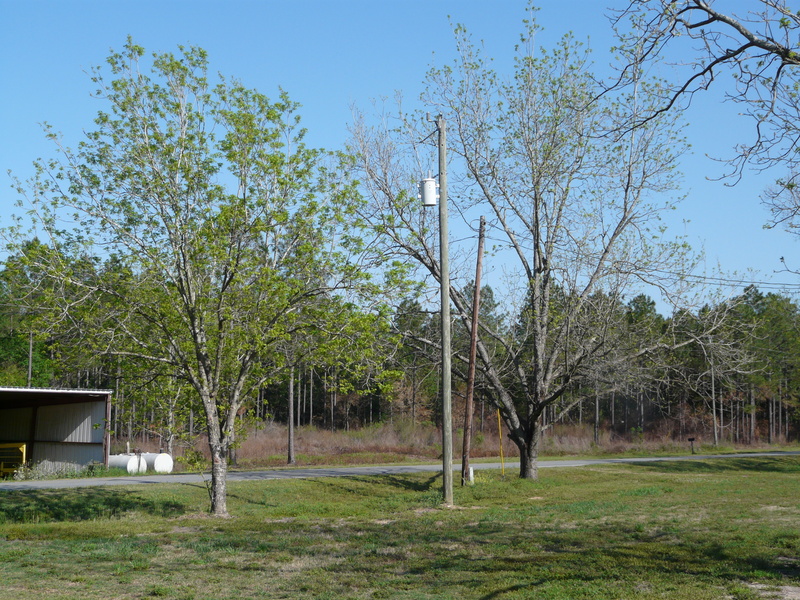 Popular nematicides for peanut production in Georgia include Telone II (4.5-6 gal/A), Velum Total (18 fl oz/A) and AgLogic 15G (7 lb/A). To prevent injury to seed and seedlings, fumigation with Telone II should occur 10-14 days prior to planting and when soil conditions are not too dry (powder) nor too wet (mud). Fumigation with Telone II can provide excellent control of nematodes but DOES NOT control thrips. Growers who use Telone II must still apply something for management of thrips. Velum Total is a combination of fluopyram for management of nematodes and also imidicloprid for management of thrips. Growers who use Velum Total do not need to add any additional thrips control product in the open furrow. (Note that imidicloprid does not reduce the risk to tomato spotted wilt.) Also, use of Velum Total does provide additional early-season management of leaf spot diseases. 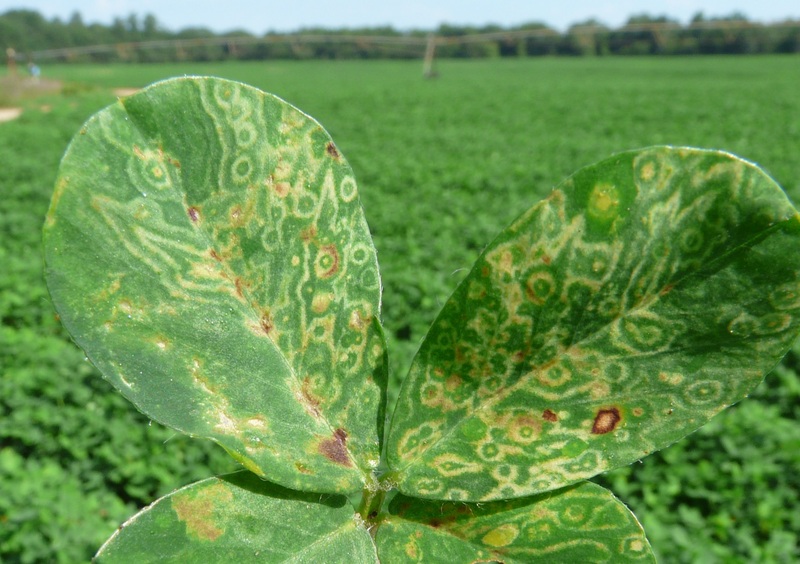 The extent of this protection from leaf spot is such that growers should be able to skip the 30-day after planting fungicide application for leaf spot, unless they have planted a very susceptible cultivar like ‘Georgia-13M’ or TUFRunnerTM’511’. A question that often arises is, “If I use Velum Total, do I get any protection against seedling diseases as well?” The “bottom line” to this question is that use of Velum Total should complement a seed treatment and be good “stand insurance” and we would not add anything else. The biggest factor by far to reduce the impact of seedling disease is the quality of the seed and putting that seed in the right soil conditions at the right time. AgLogic 15G (7 lb/A) is for management of thrips and nematodes. AgLogic does not reduce the risk to tomato spotted wilt. The rate is lower than what was historically used for Temik 15G (10 lb/A). Additional research is needed to assess the efficacy of the 7 lb/A rate on management of nematodes. In high risk field it may be advisable to use a combination of these nematicide options. Just as we started planting peanuts this week, some growers stopped for lack of moisture. It is very dry and has been for a while. Our last good rain was 3 weeks ago, and subsoil moisture is also low. We’ve been discussing potential weather this year and most talk about the expected heat. But what about other predictions? UGA Extension Climatologist Pam Knox has an update. In spite of the cold outbreak in mid-March across the Southeast, year-to-date temperatures are in the top five warmest on record for most parts of the peanut-growing region. The average temperatures from January 1st on have been an average of five degrees above normal. The result of that early warming in spring was that many plants came out of winter dormancy almost three weeks earlier than usual. Rainfall across the area has been somewhat variable, with the year-to-date totals showing below average precipitation, although the first week of April brought flooding rain to many places in the Southeast. The early dryness has caused deficiencies in soil moisture which have led to the development of “abnormally dry” conditions across the region according to the Drought Monitor, although those have been somewhat reduced by the rain last week. Streamflow in many rivers has also been below normal because the early-growing plants sucked up any available moisture that fell, leaving less to move into the ground or run off. The short-term and long-term outlooks show that temperatures are likely to continue to be above normal. In the near term, our weather is likely to be dominated by high pressure, which will keep skies sunny and temperatures on the warm side. A few passing fronts may drop some showers but no big rain events are currently expected, which may bring abnormally dry soil conditions to the area, especially as warmer temperatures lead to higher evaporation rates. Over the rest of the growing season, the likelihood of above-normal temperatures continues all the way into next winter. This is based on trends towards warmer temperatures that have occurred across the region from the 1970’s on as well as the absence of a strong El Nino or La Nina. Prediction of precipitation is difficult in neutral conditions, and NOAA’s Climate Prediction Center shows equal chances for below, near and above normal precipitation in the next year, indicating their lack of skill. However, they do provide a hint of above normal rainfall in the western Gulf of Mexico region which may be tied to unusually warm waters which are present now in the western Gulf. ENSO conditions are currently in the neutral phase, which means that no La Nina or El Nino is present. While spring is a tough time to predict the phase of El Nino in the coming fall and winter, climate forecasters currently believe that an El Nino is likely by mid- to late summer. With this in mind, the forecasts for the Atlantic tropical season predicted that there will be fewer than usual storms, because the developing El Nino’s strong subtropical jet stream will “blow the top off” of any developing storms, keeping them from getting strong enough to become full-fledged storms. I think that with the Gulf of Mexico having such warm water temperatures now, we may see some early storms develop in that region, potentially bringing rain to the Southeast as the storms move out of the Gulf. Later in the season – if the El Nino develops as expected – less tropical storm activity is likely, leading to a potential for another dry fall. Of course, as we saw last year with Hurricane Matthew, a single storm can cause all kinds of havoc with winds and flooding rain, so even in a season that is not very active, you can still get tropical impacts. The bottom line: expect warmer than normal temperatures to continue through most of the growing season (with some breaks for cool incursions from time to time), more rain early in the growing season,and a potential increase in dry conditions later in the year in areas that are not directly affected by any passing tropical storms. The 2017 Pecan Beginners Course will be held at the UGA Tifton Campus Conference Center in Tifton. GA on Tuesday, April 18, 2017. There is a registration fee of $10 . Registration at the door will be $15 until we reach capacity of 300 people. Please pre-register so that we will have a head count for the meal. Lunch and refreshments will be provided.